Why you should go to Kerala on your next trip? So once you have figured out when you want to go for your vacation to Kerala, next step is deciding on the destinations. Kerala has a lot to offer and depending on the season that you are going, you can plan to spend the days in hill stations and beaches etc. Like if you are going in relatively hotter months of April-may, you might want to stick to hill stations like Munnar, and if you are travelling during monsoons or winters (July-February) , you have more flexibility when it comes to the places that you can visit. MUNNAR: Famous for the tea tree plantations, Munnar is a hill station that looks like a painting and will leave you mesmerised. Learn how to make tea, roam around in the plantations and enjoy the famous kerala monsoons. Thekkady: plan to go to thekkady to visit spice gardens and treks in the cardommom hills. There is also the famous periyar wildlife sanctuary here but the boating opens only after the monsoon season. Kanyakumari: If you are planning to go to kerala, Kanyakumari has to be on your list. This is the southern most tip of India and you can see water from the Arabian sea, Indian ocean and the Bay of Bengal merging here. It is pretty magical and the waves create a symphony that is really peaceful and soothing! Kovalam: It is one of Kerala’s most hyped beaches and the reason is apparent, it is stunning! Also known as the light house beach, it has a number of stay options for travellers in every kind of budget and the light house offers amazing views of the beach and the city. 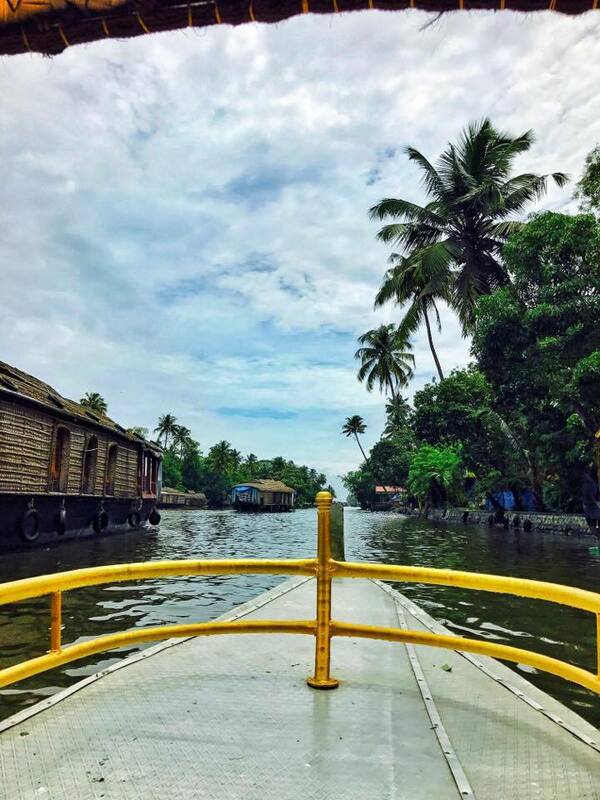 Alleppey: This is a must on every traveller’s itinerary because a cruise through the backwaters is an incredible experience and Alleppey offers a number of walks through the villages. Kochi: Although most people (flying in) enter Kerala through Kochi but only a few of them have exploring Kochi on their itinerary. We would recommend you spend a day or two here and explore kochi, especially the old Kochi, also known as Fort Kochi. 9:00 A.M: Explore Munnar. Visit tea tree plantations! Yay!! 12: 00 Noon: Tea museum to understand the process and benefits of tea. 2:00 P.M: Reach Kanyakumari, the southern most tip of India. Enjoy the sound of the waves at the beach, find yourself a secluded part of the beach and discuss about your future, life and all with the husbandman! 7:00 P.M: Finally check-in your hotel and ask for an ocean view room and pay extra for it. The views from the room’s balcony will make it all worth it! 8:00 P.M: Dinner at a restaurant by the beach. Try to find vegetarian food in the restaurants serving delicious sea-food! 7:00 A.M: Wake up to amazing views of the sunrise on the Lighthouse beach. 9:00 A.M: Have a wholesome meal at the restaurant that offers amazing views of the light house. 10:00 A.M: After a delicious breakfast, decide to burn off those calories by going up to the light house. 11:00 A.M: Reach the light house, buy the tickets and end up taking the lift instead of stairs because there are just too many and you just had a very heavy breakfast. 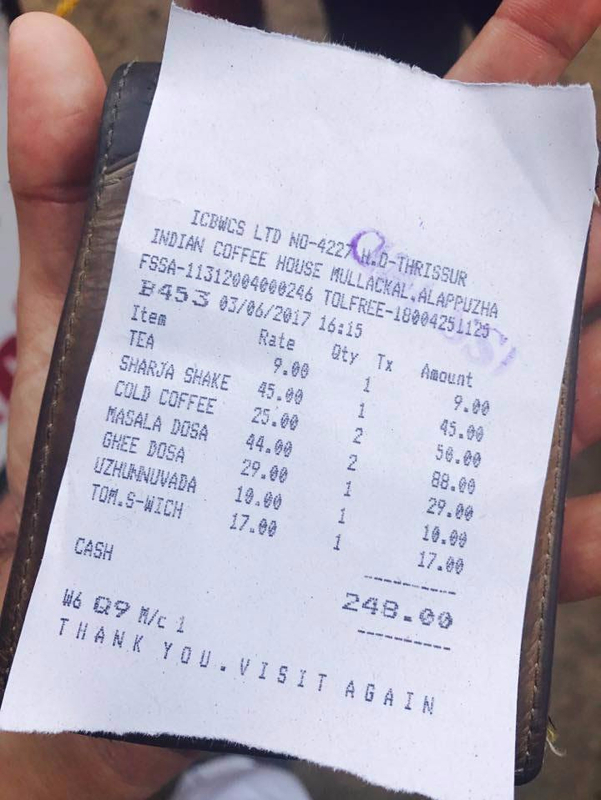 5:00 P.M: Stop by at Indian Coffee house for 3 Dosas, 2 vadas, a sandwich, tea, cold coffee and a Sharjahn shake all for 248 rupees! 😀 explore the alleppey market. 7:00 P.M: Walk on the hotel’s private beach & relax on the balcony. Maybe read a book! 12:00 Noon: Explore walk fort Kochi: The best way is to park your car and walk. Read more in our Fort kochi blog here. 5:00 P.M: Drop the Zoom car back on the location and go to the Airport to catch a flight back home and cry that the vacation is over! Always keep a mosquito repellent with you, it will be a life saver! Do not book tickets for kathakali dance performances online, you can directly buy the tickets before the sow, it is cheaper that way. 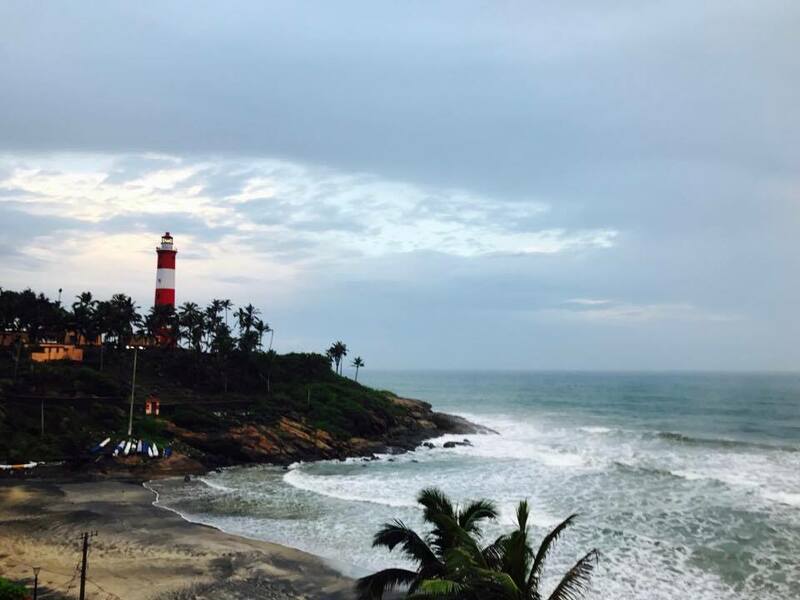 Some of the places are so hyped like Alleppey boat rides and light house beach in Kovalam, that you feel like avoiding them totally, but going to these places is worth it! Ask your hotel reception to book Backwaters cruise for you or book through the state water transport directly to get the best deals. If you are taking an auto rickshaw to go around, get an estimate from your reception about how much should it cost you to get places. 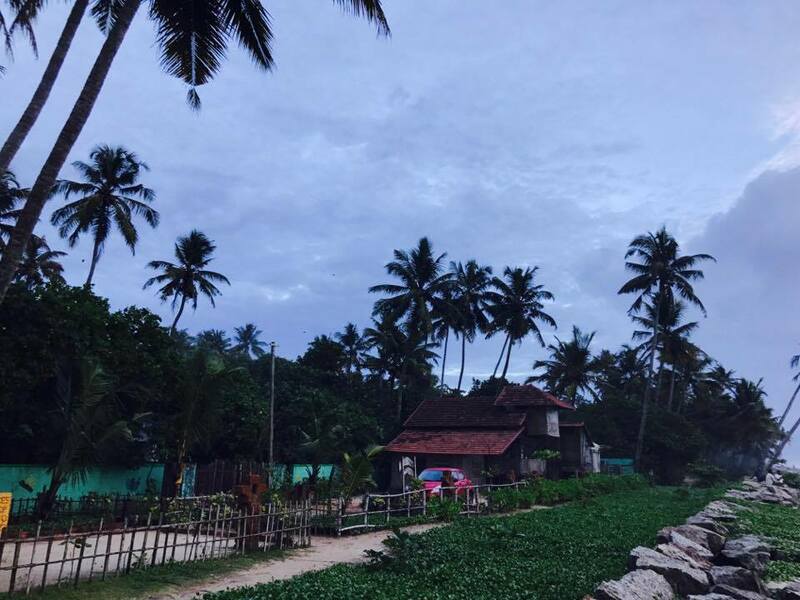 For stay in Alleppey, check out Colonel’s beach villa. It is an amazing property, they have their own beach front and the hosts are very warm, friendly people. For stay in Thekkady, check out Wild corridor thekkady. The resort is beautiful and has a spice garden of their own and offers guided spice garden tours and a lot of other activities.